2019 DDSJ Festival Lineup - Western Region Puerto Rican Council, Inc. He began to sing at an early age, perfectly developing in styles such as Rock-n-Roll and Rancheras. He approached Salsa for the first time with Conjunto de Don Juan and later with Conjunto Melao. He played with Ray Barretto and subsequently along side musicians from the band Guarare, and also along side Tito Puente. When he began his assent in Salsa, he developed an idea along with Louie Ramirez that consisted of applying danceable rhythms to well known ballads, all within the harmonious style of Salsa. The impact was enormous an this genre came to be known as Salsa Romantica. Ray exited all of all these chapters as a converted master of Son, Rumba, Guaracha, and Salsa. In actuality, he is the essential voice of the Spanish Harlem Orchestra, where he further creates original compositions. While with the Spanish Harlem Orchestra, he has earned a Grammy nomination in 2002, won a Billboard Award in 2003, and won a Grammy in 2005. Victor “Café” August lived in Oakland, California came from a musically rich and vibrant Puerto Rican neighborhood. He started playing percussion at the age of twelve when he played “bembe” (improvised compositions) on the street of Oakland. Café is a master percussionist on “timbales” where he blends Caribbean rhythms, jazz and blues to create a danceable eclectic sound that would please most music lovers. In his early teens he had the privilege to play alongside of the legendary Ray Charles, at the Fillmore in San Francisco. Since he now was recognized as a percussionist, he continued playing with other artist such as Carmelito Velez, Carlos Santana, Junior Santiago, Ramito, including other renowned artist in the Puerto Rican “Jibaro” music genre. In 1979, Café, has continued performed in many high-profile concerts with countless artist in San Francisco with the Bar Area musicians. Like the Franco Brother, Benny Valadez, Gregorio Gomez, Coke Escovedo, Pedrito Pelegrin, His demonstrated music talents give him the flexibility to perform with musically divers bands. 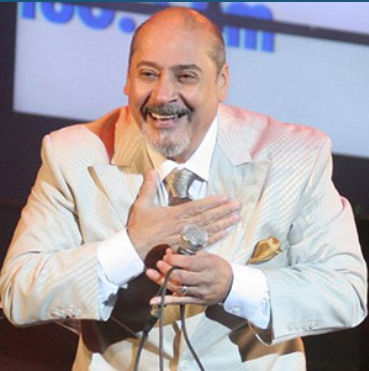 In 1992, Café and his colleague, Papo Ruiz formed their own salsa band called “Orquesta Sensual,” Later Café, broke out as a soloist and created a new sound with the debut of Orquesta Romance – now recognized as “Avance” Moving forward, Café joined a Bay Area band called Orquesta Borinquen where he was musical director. In this band they will soon be releasing their first commercial compact disc. 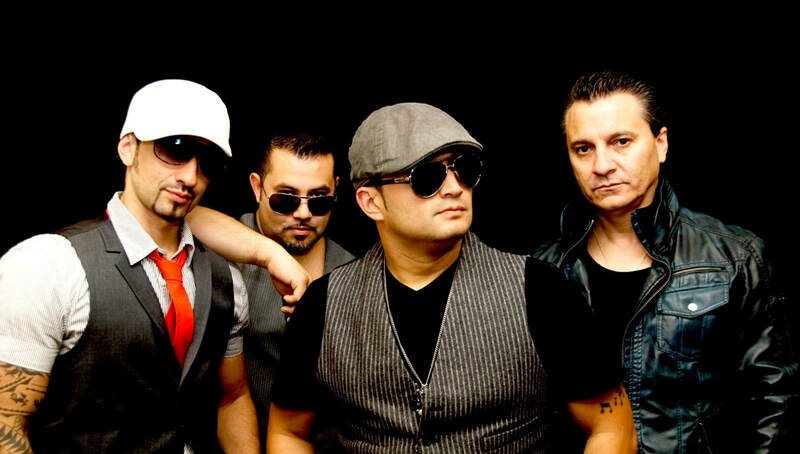 Then in 2011, Jose Guaman y su Orquesta La Fuerza Gigante released their first album, a single by the name of “Ordinary People” transposed by Victor “Café” August, arranged by Pablo “Chino” Nunez with Frankie Vasquez on vocals, the single was a stepping stone for the release of their first full album, “Regresando a la Salsa” released in 2013. The CD was a throwback to “Salsa Dura” or the “hard salsa” sound of the 1970s. Unfortunately, Jose Guaman, the band leader of La Fuerza Gigante passed away in December of 2012. Orquesta De La Isla salsa Latin music orchestra, based in the San Francisco Bay Area, that entertained audiences for over 10 years. The name of the band means “The Island Band”, led by band leader Victor ‘Café’ August the band is known for their powerful and high energy Latin sound. 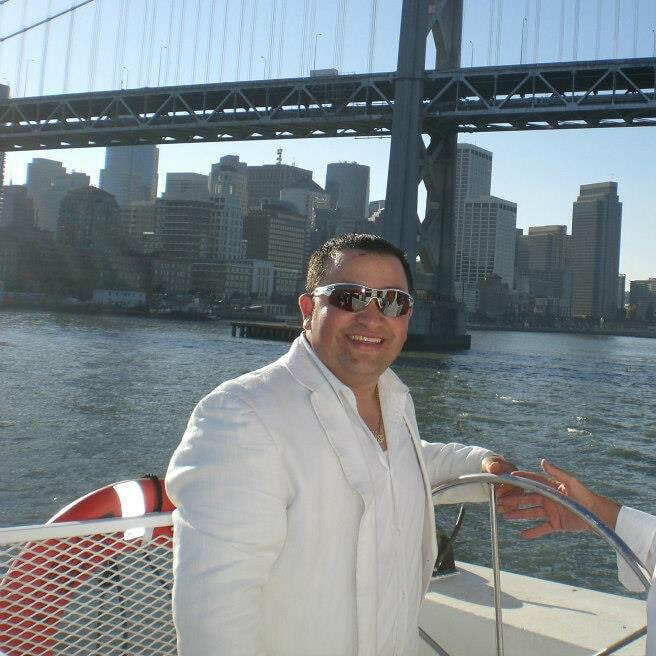 Orq, De La Isla performed at salsa events and other special events throughout the Bay Area and beyond. In 2003, Café and his wife Linda launched an event riskier venture called “FESTIVAL DE LA ISLA” to engage their diverse community into the acceptance and the celebration of Puerto Rican cultural. The annual festival brings together, into one place, an array of Latin music ranging from salsa, merengue to plena (Puerto Rican traditional rhythms) This event is an opportunity for family and community unity. A V A N C E ( AAH-VAAN-CEH ) V. Ahead of contemporary thought: The act or process of moving forward.) This is just one of many descriptions used to define this new 13 piece salsa ensemble people have come to know as AVANCE. AVANCE originates and consists of the hottest and newest talent the San Francisco Bay Area has come to know. Four electrifying bilingual singers, a sizzling horn section and one of the best rhythm sections on the West Coast. You put this all together and you get a new and unique sound that crosses the language barrier: Spanish and English. Leading this group, on his time off is Karl Perazzo, percussionist/musical director of avance and member of the Carlos Santana Band. Perazzo hopes to catapult AVANCE to a national/international stage. When you see and hear AVANCE you're guaranteed three things: SIZZLE, STYLE and most of all SWING!!! Dos Four (Leyder Chapman) is an impressive performer with a unique sound and powerful lyrics. Each show is delivered with incredible energy and will have the entire audience on their feet moving by the time he is ready to start the second song. The music itself, written and created by Dos Four, is a unique fusion of current and traditional rhythms from both Cuba and the U.S. - a distinct blend of hip hop, reggaeton, salsa, and mambo as well as many other rhythms. And when you listen to this artist's list of influences, you begin to understand why: Benny More, Los Van Van, Charanga Habanera, Munequitos de Matanzas, Tego Calderon, Don Omar, Snoop Dog and Jay-Z just to name a few. Dos Four has shared the stage with Danny Losada, Fito Reinoso, Jesus Diaz, Gente De Zona, Don Omar, Ivy Queen, Fulanitos, and others. He has performed at clubs all over the U.S. including the Bay Area, NY, Miami and LA as well as performing in Europe. Orquesta Latin Heat - an exhilarating musical experience - featuring a swinging horn section, fiery rhythms, authentic Latin percussion and vocals - performing sizzling original and classic Salsa, Merengue, Latin Jazz, and more. 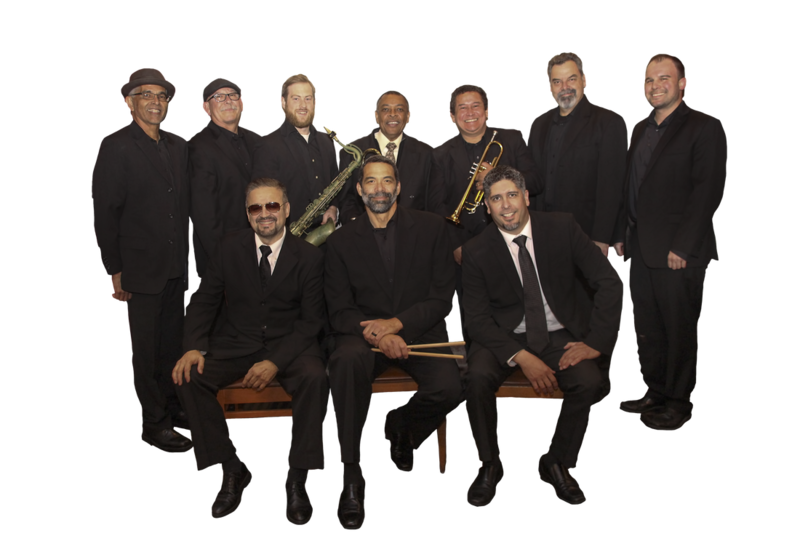 Based in San Jose, Latin Heat was formed in 2012 by a group of Salsa musicians from Puerto Rico, Venezuela, and the US East and West coasts, looking to share their love of this music through an authentic, professional and dynamic Salsa and Latin music orchestra. The musicians of this 10 piece powerhouse have performed with and shared the stage with top artists and groups in the Latin and Salsa genres. The public response has been phenomenal, and Latin Heat has performed at premier venues and Festivals in the greater Bay Area and Northern California, adding to its fan base with high quality and energetic performances. Get ready - the exciting music of Orquesta Latin Heat is guaranteed to get you moving and keep you on the dance floor! Grupo La Rinkynkaya plays Musica Jibara, Plena, y Bomba. Sazon Libre! is a Bay Area based crew dedicated to bringing tropical bass music to the people! 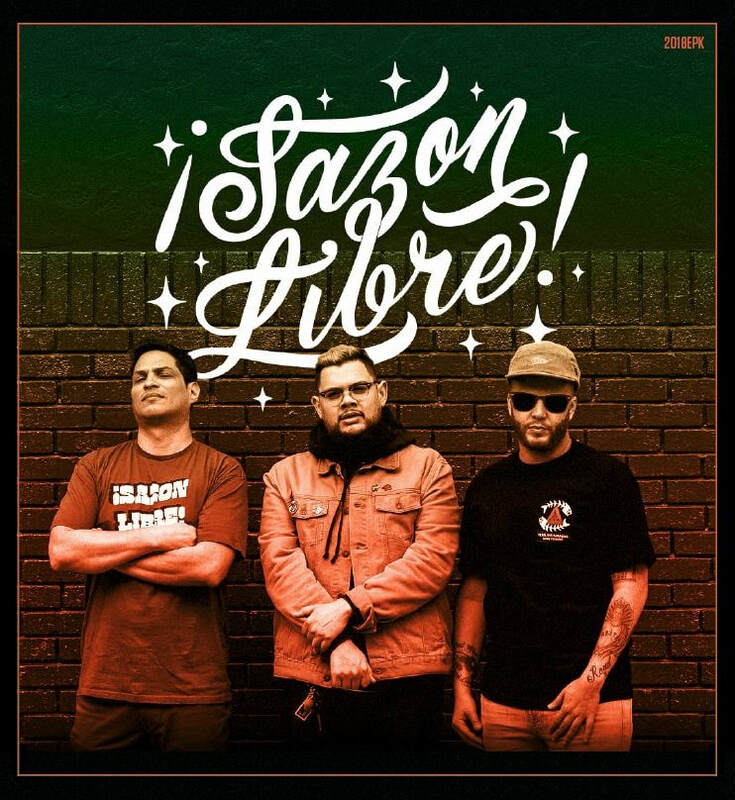 Founded in 2015, Sazon Libre's fundamental goal is to bring together the community around positive and all-inclusive music events. They continue to throw the acclaimed Sunday parties at the legendary El Rio San Francisco, have been named official DJ's of Carnaval SF for the last 3 years and have brought the spice to Oakland, Baltimore, Houston, San Antonio, Brooklyn, Portland and Los Angeles. 2016 - 2017 also saw the debut of a series of compilations under the Sazon banner - Sazon Libre Vol. 1, 2 & 3, Bmore2TheBay, and SOULOVE - a compilation in benefit of the ACLU and Planned Parenthood. These compilations all feature extended Sazon family, collaborators, and (with the exception of Soulove) are all free to download on their website! ​Angela Tirado is a local A capella vocalists from east side San Jose. She enjoys sharing her God-given talent with her community. She has been named "The Voice of San Jose" by San Jose City Council and the Mayor.